Fans of Run the Jewels received more than their money’s worth this Sunday at Northside Festival, catching the rare opportunity to witness a surprise performance featuring hip-hop legend Nas. Alongside Killer Mike and El-P of RTJ, Nas performed his 2002 single “Made You Look” to a packed crowd at 50 Kent Avenue in Brooklyn. 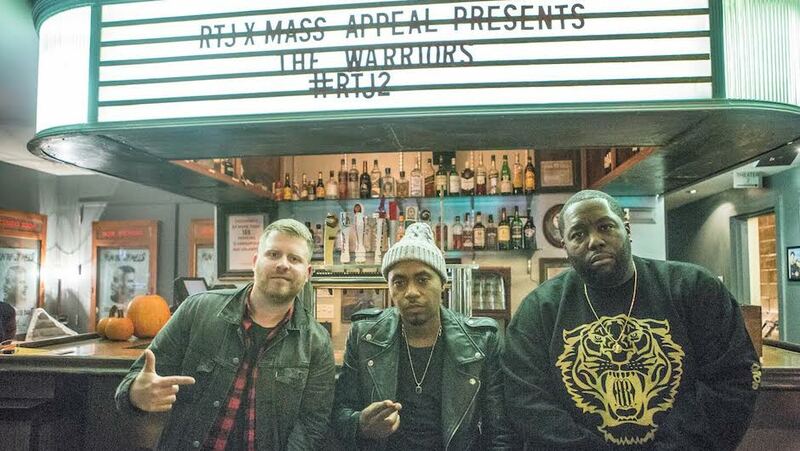 Both politically conscious artists, it is easy to see the connection between Nas and RTJ. What some people might not know, however, is that Nas is also the founder of Mass Appeal, the magazine and record label responsible for last year’s hugely successful release of Run The Jewels 2. The hip-hop duo has also hinted to the release of their follow-up album, Run The Jewels 3. Click here to look at dates and purchase tickets for their world tour happening right now.